"Peter Rizzuto was born in New York in 1938. Raised in and out of foster homes, Peter was a tough and resilient man. He moved to Aspen in 1972 and fell in love with it's beauty and small town charm. Peter loved the outdoors, sunshine and dancing. You could consistently find him on any available dance floor, getting down and strutting his stuff. Peter also loved his work at his salon in Aspen, Peters Place, which he did for over 40 years. 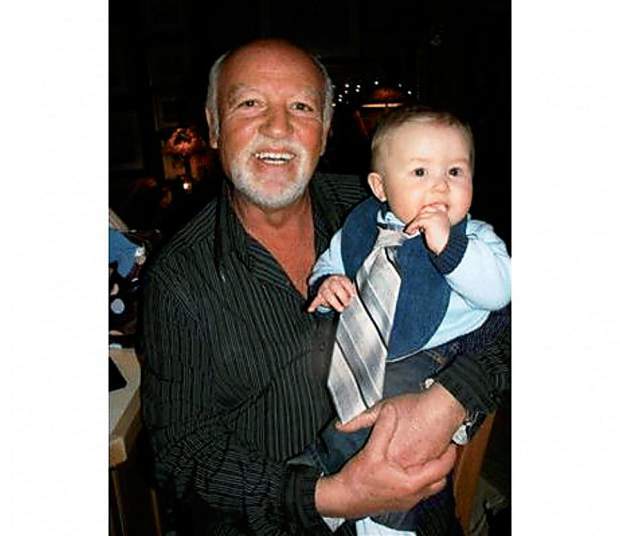 He loved conversing with his clients, making new friends and the artistry of being a hairdresser. He met Ellyn and was married in Aspen in 1977. Peter is survived by his children Anthony, Gianna and Peter Jr. He also has 3 local grandkids: Luca, Ryleigh and Ayva. Papa Peter absolutely adored his Grandkids and he spent a majority of his free time playing and teaching life lessons. For a man in his 70's with a knee replacement and arthritis in his back, the amount of time he spent crawling on the floor and building Lego castles was amazing and seriously impressive. Nothing compared to the love Peter had for his children and grandchildren, we were truly fortunate to be the recipients of that much sincere affection. Peter passed from a vicious and unrelenting form of dementia called CJD. I want to make it clear that he fought admirably with strength, optimism, heart, appreciation, and dignity. Papa Peter embodied what love for a family should be. He will be remembered with nothing but love and admiration for eternity." Photos of the Shrine, taken in April 2017, are shown below (click on images to enlarge).